If you’re in the market for a laptop that will best suit your child, you’ve come to the right place. This article aims not only to enumerate the best laptops for kids in 2018 but also give you a kids’ laptops 101, as it were. What are the most important questions you should ask yourself before deciding on your child’s new companion? For one, your child’s age plays a role here, simply because of their hands. Smaller kids have smaller hands, and will thus feel more comfortable with smaller-scale laptops. This point ties in with the laptops weight, as your child might need to lug it around for school or group projects. You don’t want a toy laptop but a basic laptop for your kid. First of all, you should know when it’s the right time to buy your child a laptop. There is no standard or a rule that would imply the age before your child shouldn’t own a laptop yet, but there are several indicators that could show you just when it should be done. For instance, being the only child in class without a laptop can be discomforting. Nowadays, it is common for children to socialize via internet because it’s much faster and cheaper than using a cell phone, and not having a laptop can make the child feel unwanted. You don’t need to worry about their price, though, they’re much cheaper than standard ones, so they’re very affordable. Secondly, there are times when the child needs it for school work. Teachers often assign projects to students that need to be completed in a certain form – be it a power point presentation or a printed word document. Thirdly, the kid’s laptop is intended for kids, making it much easier to control. For example, putting on a password as sort of motivation for children to do their schoolwork and chores is what made me a more responsible person; making some files and folders inaccessible, keeping track of actions via task manager – these are all some of the options for parental control. Last, but not least, the kid can learn a lot of stuff simply by browsing the internet. Loads of information can be found by typing simple keywords on Google, and it is only natural that curiosity is every children’s attribute. A child can build its own path by finding what it likes and dislikes much faster this way in comparison to many attempts to lure its attention in any other way. If we compare standard laptops to kid models, we could point out several things that make them crucially different. This makes the kids more focused. If they were to use a big-screen laptop they could feel confused, since the standard laptop has a huge screen for their tiny eyes, making it difficult for them to spot every detail. Specially engineered, a children laptop screen is meant to have reduced brightness and contrast, keeping the children’s eyesight undamaged. The keyboards are specifically designed to fit the children’s little hands. The big ones are large enough for an average adult to work, but also feature a lot of symbols and a numeric sideboard that most of the kids would find little use for. The storage device (hard disk) of a children’s laptop is also smaller. Kids rarely store much information (despite save game files that are microscopic in size) on their laptops. Movies, music, documents – these are all kind of a grownups thing. Reduced weight is one of the greatest things a kids laptop can offer. It makes it easier for the child to use the laptop without tiring and rids you of fear that your child will be harmed. Stronger, standard laptops are usually heavy for a child, making them potentially dangerous. Some additional perks are offered by different manufacturers such as increased battery, (which allows prolonged use in the case the kids are using it in a place where there are no power sources), included software (this saves you a lot of time and work of getting them installed on your own), and much more. Secondly, and this is something you’ll have to ask your kids, what will they do with it? Is it just for HW and presentations, keeping in touch via e-mail and social networks, or playing music, watching movies, gaming… Every bit of info helps to make the right decision. Thirdly, talk to your kids’ teachers and ask if they recommend any particular type. Many schools toady provide general requirements to parents to help them choose the device that’ll be compatible with curriculum demands. That is why we also wrote a article based on only laptops for college, you may find some valuable info there as well. Here are some suggestions based on our extensive research. 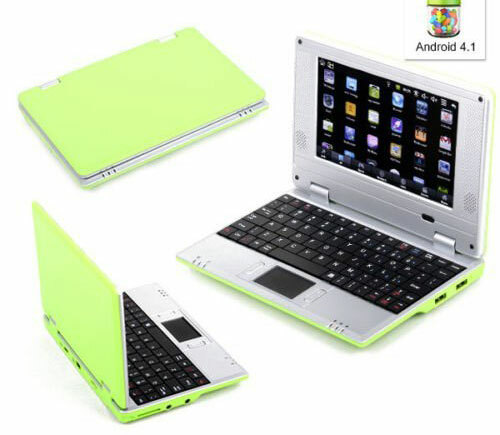 For basic tasks and learning, an Android mini laptop is the perfect choice for children aged 5 to 10 years. Our pick is Tanoshi 2-in-1 Computer. This Android laptop for kids features an 10.1 inch touchscreen, 2GB RAM and 32 GB SSD for storage and OS. It runs Android 7.0 which is one of the fastest and safest version available on market. Kids will love this Android laptop. 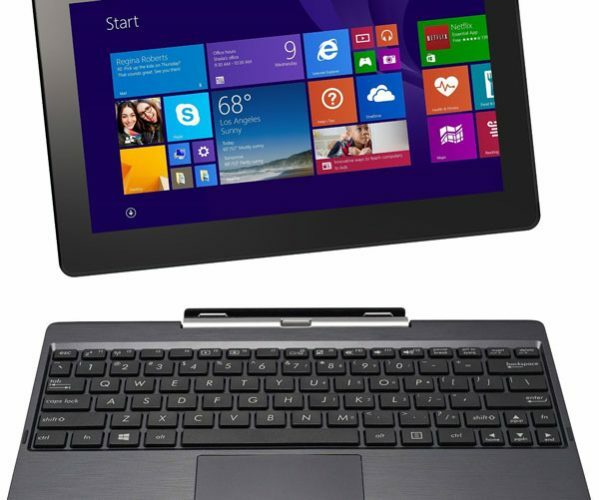 It can be used as a classic laptop or as a tablet when detaching the keyboard. It is a kid’s laptop that can be used for learning, games, homework and more. Powered by Android, this mini laptop let’s your kid work with the most popular apps from Google : Docs, Sheets, Calculator, Maps, Earth, Gmail, Chrome Browser and he can watch videos safely on You Tube Kids. An interesting feature of this laptop is the Family Link app. This app allows you to control and check the apps your kid is using. This makes it a safe gadget for your children. The best way to begin our list is with a great beginners’ laptop, and the HP Stream 11-r010nr 11.6-Inch Notebook certainly fits the bill. The heart and soul of this little puppy is its Intel Celeron Processor with 1.6GHz base frequency and boost up to 2.16GHz. When compared to high-end graphic designer and gamer’s laptops, 1.6GHz doesn’t look like much, but it’s more than enough speed for general purpose usage. Undoubtedly one of the best. The hood of this little machine also holds 2GB of SDRAM (think of RAM as a laptop’s working surface if it were a desk), as well as 32GB SSD storage capacity. It might not sound so impressive but this configuration is pretty good for everyday browsing, social apps and school work. 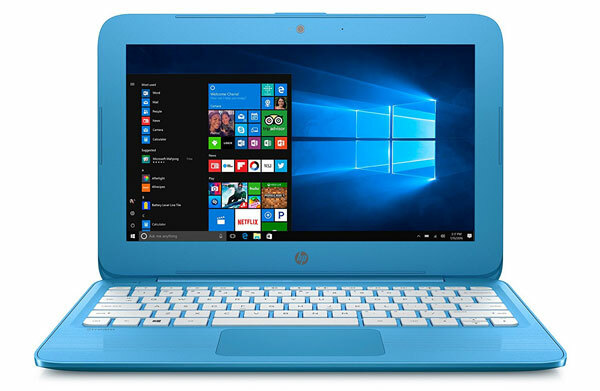 The HP S11-r010nr features 11.6-inch LED-lit screen with 1366 x 768 resolution. The size should be adequate for younger kids and kids in their early teens, but older children might feel cramped. Additionally, the laptop’s build is robust enough to endure a decent amount of (inadvertent) abuse from your child. At 2.6 lbs. this laptop is pretty lightweight (everything under 3 pounds is great for a laptop), allowing your kid to carry it almost effortlessly. Moreover, the incredible battery life (10+hours of productive usage) gives them more than enough time between charging. Speaking of software, this laptop comes with Windows 10 and Microsoft Office preinstalled. Well, this makes it our favorite choice – a small, lightweight, pretty fast laptop with most popular office suite pre-installed. Truth be told, this is not the greatest laptop out there, but it’s a great tool for kids to get used to using a laptop. 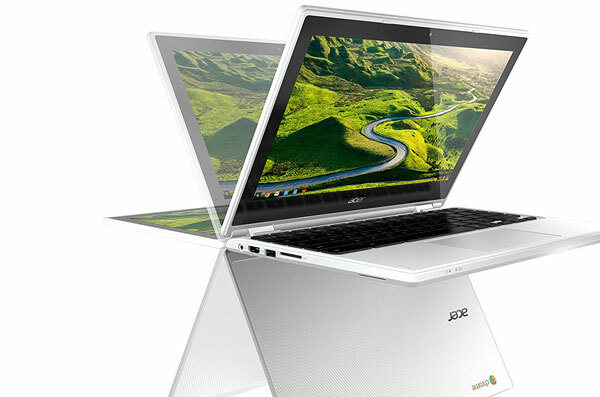 Acer launched in 2018 this hybrid laptop, ideal for adults and children. It’s actually a Chromebook, a laptop that does not use Windows but Google apps. Bearing in mind that children use more online services for both games and video clips, a touchscreen Chromebook like this one is ideal for them. R11 is a solid buy if you’re looking for great battery life and best price for an entry laptop. In terms of specs, Acer R11 has a decent configuration. It is powered by a 1,6 Ghz Intel Celeron processor along with 4 Gb of Ram. You get 32 Gb of space , which is enough for most kids. They tend not to store so much information as we usually do. The display uses IPS technology, so it is bright and has great viewing angles. The sound is great on this Chromebook, which is quite surprising for such a small device. The touchscreen performs great overall but is not so useful when surfing the internet. This type of laptop is best choice for kids who like to draw using the touchscreen. The trackpad feels inconsistent which might be annoying for your kid. It’s a cheap laptop for kids that can be used with ease for daily activities. If you’re unfamiliar with the term, a Chromebook is a computer that runs on Google’s web-based Chrome OS, designed to be used with an internet connection, with most of its documents and apps existing in the cloud. As for the item at hand, it holds a Rockchip 1.8GHz processor and 4GB DDR3 RAM. If you are looking for the best chromebook for kids, this might be the one. This puppy is able to open and edit MS Office files using free embedded QuickOffice editor or Google Docs. Alternatively, you have the option of downloading Microsoft Office Online for free. Also it has You tube for Kids and many other apps for kids. One of the most important features is its versatility and mobility, thanks to its 10.1-inch HD (1200 x 800) IPS multi-touch screen. There are four ways you can use it as – a notebook, a tablet, a stand or a tent, depending on the space available. For storage purposes, you have 16GB SSD, supplemented with online storage options. which pretty much evens it out. This Chromebook is perfect for your kid. Using it as a tablet works great for small children which can rely on touchscreen to play some good learning games. For older kids, using this Chromebook as a laptop is the perfect choice allowing them to learn typing or writing and also have fun with it. The ASUS Chromebook Flip 10.1-Inch Convertible 2 in 1 Touchscreen is probably the best laptop for school kids who expect to carry it around a lot – it’s lightweight, relatively small, and has an incredible battery lifespan. Granted, the ASUS T100 (the T stands for Transformer) is not a new model and , it will be one of the best bangs for the buck when it comes to best computer for kids. At the very center of this puppy, you’ll find an Cherry Trail Quad-Core Z8500 Processor. It’s quite fast and reliable, and is perfect for general purpose multitasking. Combined with the 2GB of RAM, the CPU can handle multiple tabs in your choice browser while playing music. Its 10-inch touch screen display has a decent 1024 x 800 resolution, which is acceptable for media and browsing. As for storage, this convertible has a 32Gb SSD for loading super fast Windows OS and also an 500 Gb HDD. This is great as it combines speed and maximize storage in one device. Your kid will have enough storage to save all photos, movies and other documents on this laptop. The main advantage of this puppy is that the monitor can be detached from the keyboard, thereby transforming the device into a Tablet, and not a bulky one at that. Re-attaching could be difficult, though, as the dock is not of utmost quality. Using Windows as OS makes this laptop a great choice for working with documents and learning how to use a personal computer. And, as a bonus, this convertible comes with Office 365 free for 1 year – great for homework and school. But Windows is not as easy to use as Android when transforming this laptop in to a tablet. The touchscreen is super responsive but Windows tablet mode is a little hard to use when coming from an Android phone or tablet. Still, Asus T100 is one of the best choices as a laptop for kids and you should consider buying one if your children is at least 7 years old. Lots of bloatware, but you can remove those. The keyboard dock is not up to par. This puppy’s small size and amazing battery life make it ideal for younger kids, but also makes for a great travel companion. If you’re in the market for an extremely lightweight and most easily portable laptop for your child, borderline cell-phone, then the Goldengulf might just be the thing for you. The laptop combines the very best of both worlds – the ease of carry of a regular cell-phone and the performance of a laptop. This Android 4.1 Jelly Bean Mini Notebook Laptop is ideal for kids first and foremost thanks to its small size and excellent portability. The 7-inch screen makes it easy for your child to carry it around and type on it. Moreover, the laptop comes equipped with all the bells and whistles you need for essential media purposes like watching movies, playing music, watching You Tube videos picture browsing and sharing, as well as some ultra-light gaming. Granted, the storage capacity is a bit underwhelming, but the device comes with an SD card slot for enhanced storage, as well as two USB slots (for even more storage) and an HDMI port, so you could connect it to a bigger screen. The battery is not all that long-lived (2 hours), but given it’s designed with kids in mind, most parents would agree two hours on a laptop is more than enough for any child. This Android laptop is the best choice for your kid. Is small, lightweight and cheap. It can be used for fun or for learning and i’m sure that you’re baby will love it. It all comes to your kid needs. But some things are always the same. You need to buy the best hardware for the least money – that is what we call a best deal. If money is not a big issue then you may choose a kid’s laptop with more computing power. If you want a Windows laptop – choose an Intel Pentium or I3 processor, at least 4 Gb Ram and 128 Gb SSD for storage( or 500 GB HDD). Look at the built quality and keyboard ergonomy. 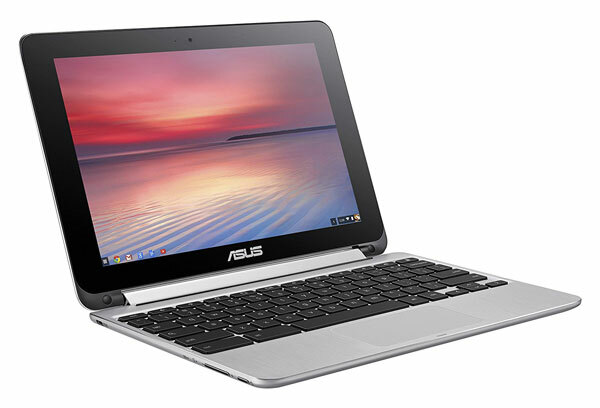 If you want an Android laptop – choose a Quad Core processor, 3 or 4 Gb of Ram and at least 32Gb storage space. Test the touchscreen quality and make sure the laptop has a good autonomy. When it comes to choosing the perfect gift for their child, no parent will admit any money is too much money. However, we made this list as objectively and budget-friendly as possible, given that kids will more than likely outgrow their first laptops just as they do their clothes. So, in the end, the recommendation would look something like this: if you wish the ultimate carry-on laptop for your child, go with the Goldengulf. On the other hand, if you want to get every penny’s worth, ASUS T100 Transformer is your friend. Its cousin, the ASUS Chromebook Flip gives you the most versatile tool for your kid’s media and HW purposes, while the Toshiba Satellite C855D-S5320 takes care of the gaming department. However, when all the parameters are sized up, the overall winner of this list would be the HP Stream 11-r010nr, for its combination of quality, versatility, and price.